NYISO, ISO-NE and PJM were fairly flat over the report week. ERCOT saw a slight decrease. 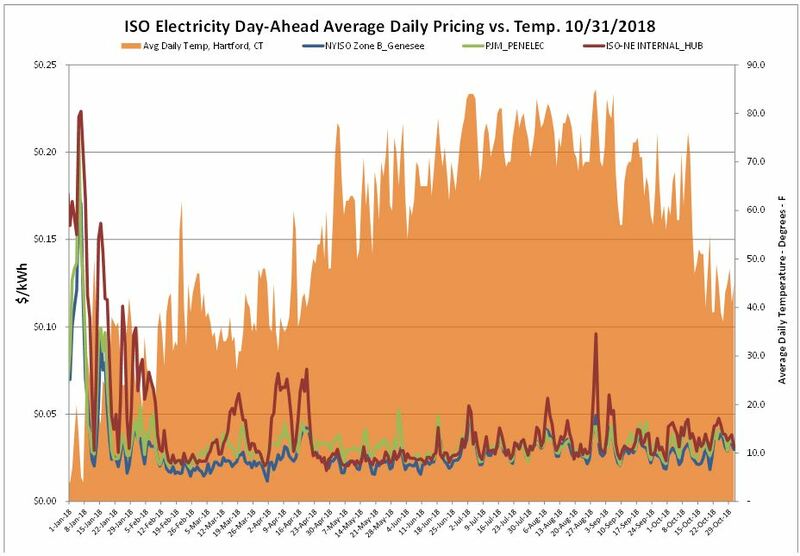 Intraday electric prices saw some volatility as temperatures feel below normal. 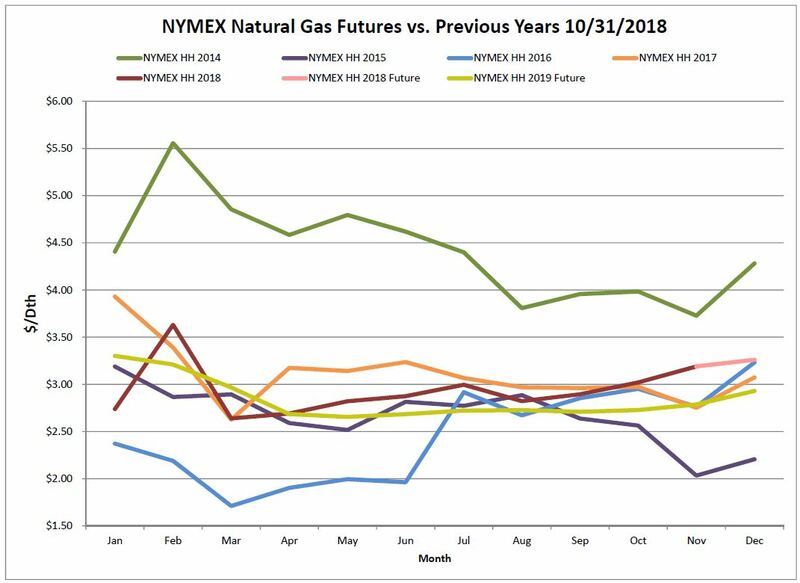 November ’18 NYMEX contract closed at $3.185/MMBtu. This is the highest close in November since 2014. December tends to trend considerably higher than November, so we will continue to monitor this in conjunction with the December weather patterns. The Algonquin gas basis has stabilized in relation to previous week. 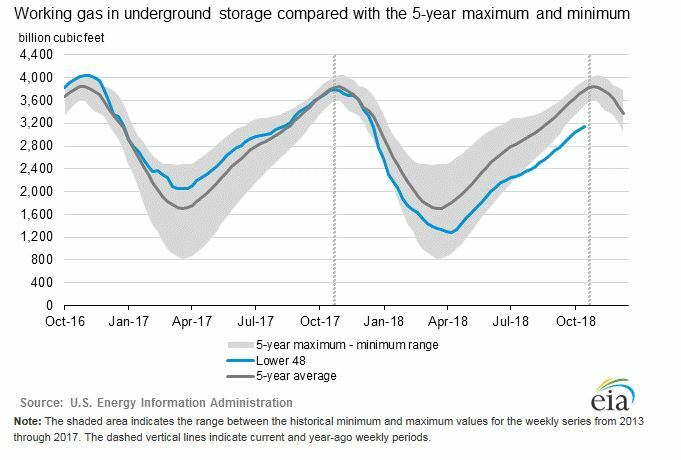 Natural gas storage is still expected to be at a 13-year low heading into the upcoming winter. Concern regarding supply still lingers, while the market hopes production continues to increase throughout the winter. 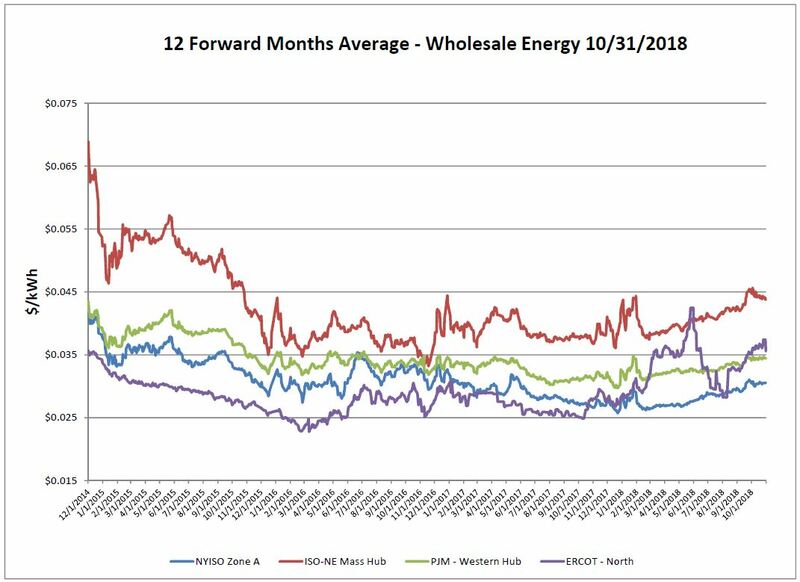 Heating demand this season may rely more on pipeline supply, rather than traditional storage levels. As of Friday, October 26, 2018, working gas in storage was 3,143 Bcf. According to EIA estimates, this represents a net increase of 48 Bcf from the previous week. This was below expectations which hovered around 52 Bcf, and the 5-year average of 62 Bcf. One more week until the end of the “normal” withdrawal season. However, temperatures and production could extend this withdrawal period slightly. 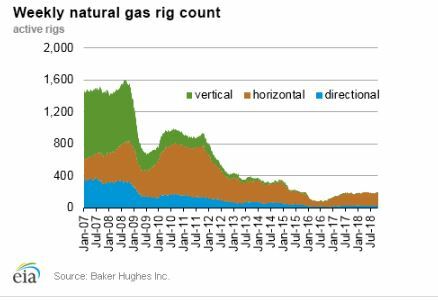 The Baker Hughes exploration gas rig count remained unchanged at 193 rigs. This is 24 more than were in operation at this time one year ago. 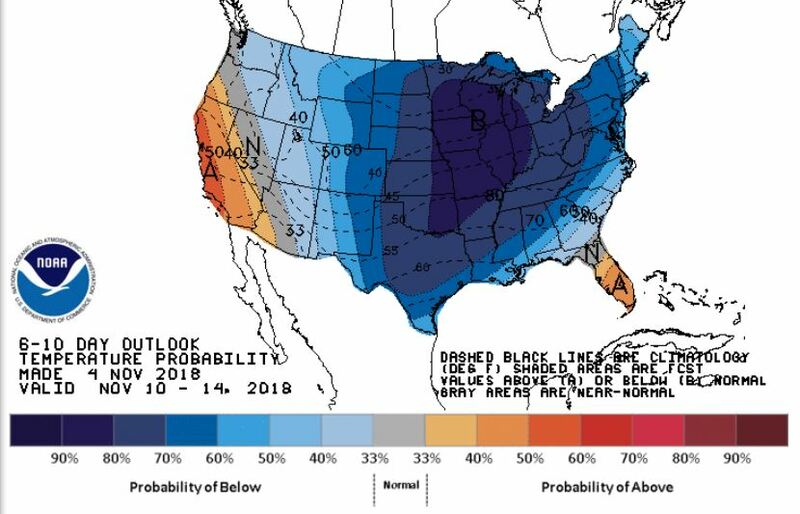 The NOAA 6-10 day forecast is predicting below normal temperatures for the majority of the CONUS. Small parts of Florida and the Southwest may be the only to see temperatures that are in the normal to slightly above normal range for this time of year. Of the six states that comprise New England, all but Vermont have deregulated electricity markets that allow customers to choose among competitive suppliers to provide their electricity.